Greetings from Grace Baptist, Taylors, South Carolina, USA. 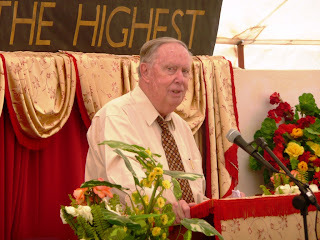 I have a question regarding the 2008 Zambian Reformed Baptist Conference: Will the conference messages be posted on the internet? Thanks for sharing your ministry labors, thoughts, and concerns in this blog. 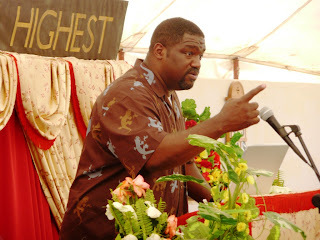 My prayers are with you and the body there in Kabwata, especially in light of the loss of your dear elder Simon Mphuka. There can be no doubt that he is now experiencing that eternal weight of glory in the very presence of the Savior. Thanks for your "visit". I have asked the chairman of our organising committee (Charles Bota) to post his reply to you so that you hear from the proverbial "horse's mouth". I am in Sierra Leone at the moment, hence my "passing the buck". Thanks! This was the second reformed conference i have ever attended and i always come back challanged, rebuked and sharpened. I thank God for such an opportunity.The conference was very well organised thanx to the Spirit of God who gives HIS people the gentleness,goodness and the rest of the fruit of HIS blessing. Special thanx to Mr. Bota & his team. We stayed at the dream Valley "the palm of comfort" please thank the owners ( Amon & family) for us.